This article is part of McGraw Hill Construction Continuing Education Center. By combining the benefits of aluminum, vinyl, and wood windows, fiberglass composites provide aesthetics and longevity for any environmental condition. Whether designing residential, commercial, or institutional building types, architects and owners carefully consider the qualities and long-term advantages of fenestration materials. Windows and doors provide essential protection and architectural character to a building, and must also respond to various owner-driven requirements, from aesthetics and cost, to performance, maintenance, and life cycle. Fenestration, or the arrangement, proportioning, and design of windows and doors in buildings, keeps occupants dry and protected from environmental elements, while providing sound insulation, thermal control, natural daylight, and ventilation, thereby contributing to indoor air quality and personal comfort. Collectively, these characteristics contribute to how building occupants perceive the quality of their interior spaces and overall environments. Sustainability and energy efficiency also are increasingly important criteria during product research and selection for many architects and owners. As Leadership in Energy and Environmental Design (LEED®) certification, developed by the U.S. Green Building Council, becomes more widely implemented for various building types, maintaining healthy indoor air quality, attention to environmental concerns, and assessing energy production required for material manufacturing, are also reviewed during the design and specification process for public and private sector projects. With these factors in mind, fiberglass composite is ideally suited for windows and doors in any climate, and almost all building types. More durable than aluminum or vinyl, with the thermal efficiency of wood, fiberglass composite windows are an economically competitive alternative to vinyl window products. The multiple advantages and benefits of fiberglass composite make it a versatile fenestration choice because of its strength, durability, low maintenance, energy efficiency, and sustainable qualities, as well as its resistance to corrosion, dents, and scratches. This article will discuss the properties and evaluation criteria used by architects and building owners when designing and specifying windows and provide examples of fiberglass composite window applications. Since the original patent of fiberglass was approved in 1946, the many uses of this material have increased substantially, attesting to its versatility under extreme environmental conditions. Fiberglass components are used in a variety of construction applications, in buildings, and on land and sea, which all capitalize on the inherent qualities of strength, durability, and moisture resistance. These characteristics make fiberglass composites the material of choice for different industries, and indicate why this material is ideally suited for fenestration. For bridge, highway, and maritime components and panels, fiberglass offers low weight, high strength, long-term stability, and moisture resistance. Underground chemical storage tanks made of fiberglass must last over 50 years. At highways and roads, fiberglass sound barriers are often located between the roadway and residential areas as a stable, durable noise buffer. Roadway signs, and other highway elements with constant exposure to the elements, are an emerging use of fiberglass composite. Naval architects and engineers turn to fiberglass for boat construction and sea walls, because it withstands climate and water temperature extremes, and resists salt water corrosion. Automotive: Fiberglass composite is used for bodies and bumpers, from cars to heavy commercial construction equipment, and armored vehicles. All of these are constantly exposed to climate extremes, and subjected to abusive wear and tear. Boats: Most boats are made of fiberglass, because of its ability to withstand the elements under heat and cold, and corrosion-resistant properties from salt water and atmospheric pollution. Bridge and highway construction: Bridge decking steel bars are being replaced with fiberglass, which has the strength of steel, but resists corrosion, a significant factor as steel prices rise. Other uses include: wide span suspension bridges requiring lower weight, highway guardrails, streetlight poles, and manhole covers, because of strength, light weight and durability. Residential and institutional buildings: Shower stalls, laundry and hot tubs, and extension ladders. Fiberglass is suitable for wet zones in health care facilities because it can be cleaned daily and resists mold and mildew, which can readily appear in poorly ventilated bathrooms. “As a board certified hospital architect, I’ve always preferred fiberglass handicapped showers for patient areas. The seamless fabrication, controlled engineering tolerances, ease in cleaning, and efficient infection control make it the perfect product consistently designed to meet strict regulatory standards,” says Orlando T. Maione, AIA, ACHA, principal, Maione Associates, Stony Brook, New York. Regardless of climate, client, or building type, architects have specific design criteria in mind when selecting and specifying windows and doors for new construction, renovations or retrofits. “With increased demands by clients for energy efficient windows and doors, the measurement of thermal performance is important when specifying windows. Fenestration performance is critical in determining the overall energy efficiency of a building. Fiberglass windows and doors are a good solution for added thermal performance. Where noise is a problem, fiberglass windows and frames can reduce undesirable sound transmission,” says Terrance J. Brown, FAIA, senior architect, ASCG, Inc., Albuquerque, New Mexico. Retrofits and window replacement projects for older buildings sometimes pose challenges that don’t arise during new construction. “When choosing windows, especially on retrofits of multi-family residential buildings constructed of brick, wood and stucco, I look for ease of installation, energy efficiency, moderate costs, maintenance, aesthetics, and durability. They make a substantial difference in fuel economy and sustainability,” says Laurence E. Parisi, AIA, principal, Laurence E. Parisi, P.C. Architect, North Bergen, New Jersey. Fiberglass composite materials are strong and durable. In testing performed in accordance with the American Society of Testing and Materials (ASTM) testing standards, fiberglass composites displayed superior performance in strength, ability to withstand extreme heat and cold, and resistance to dents and scratches. 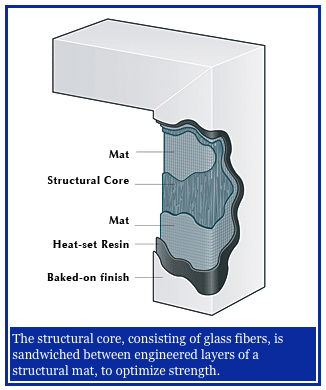 The structural core, consisting of glass fibers, is sandwiched between engineered layers of a structural mat, to optimize strength. 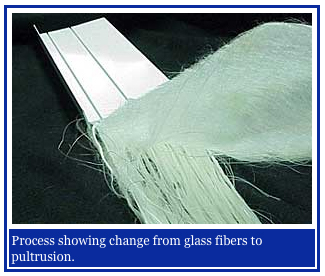 During fiberglass production, the mat and glass fibers, known as roving’s, are impregnated with heat-set resin and pulled through a die, a process known as pultrusion. Lastly, the fiberglass composite pultrusions are ideally painted with an environmentally friendly, durable surface coating, such as a powder-coat paint finish, or in some instances, with conventional, solvent-based paints or acrylic caps. Material comparison of fiberglass composite, aluminum with thermal break, and vinyl. Durable: They are dent and scratch resistant, will not corrode or rot, are appropriate for coastal conditions, and exhibit great strength. Installation, operation and maintenance: Fiberglass composite units typically arrive on-site pre-assembled and pre-finished, which makes them easy to install, and low maintenance over the long term. Efficient: These units have high R-values, which is a measure of resistance to the flow of heat through a given thickness of a material, as insulation, with higher numbers indicating better insulating properties. Sustainable: Fiberglass composites consume low embodied energy to produce, compared to aluminum and vinyl. Thermally stable: Fiberglass composite has a very low coefficient of expansion. As a result, it moves very little as the climate changes, resulting in less stress on the installation, seals, and glazing of the window or door. In addition, since fiberglass composite is very heat tolerant, it can be painted dark colors without concern for heat deformation. Fiberglass composites combine the best and most desirable qualities from other materials, such as durable and low maintenance aluminum, energy efficient vinyl, and wood, with its aesthetic, high performance, and environmentally friendly properties. The net result is that fiberglass composite offers the durability of aluminum, the thermal efficiency of wood, and is an economic alternative to vinyl. 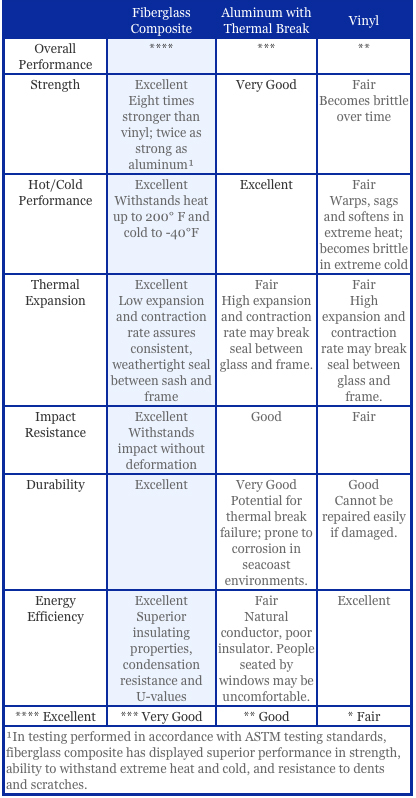 The following summarizes how fiberglass composite compares to aluminum with a thermal break, and conventional vinyl, in six categories. Strength: In ASTM testing, fiberglass composite material has excellent ratings, twice as strong as aluminum, and eight times stronger than vinyl. Aluminum was rated very good, while vinyl rates fair, because it becomes brittle over time. Hot and cold performance: Fiberglass composite rates excellent because it withstands heat up to 200 degrees Fahrenheit, and cold to -40 degrees Fahrenheit. Aluminum also rates excellent, but vinyl rates fair, because it warps, sags, and softens in extreme heat; and becomes brittle in extreme cold. 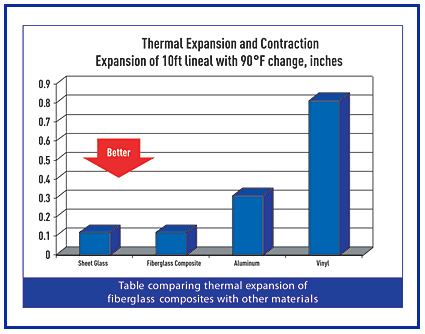 Thermal expansion: Fiberglass composite’s low expansion and contraction rate (similar to glass) ensures a consistent bond between sash and glass and a weather tight fit between the sash and frame. Aluminum and vinyl are considered only fair, because their high expansion and contraction rates (which differ substantially from the glass they hold) may compromise the air and water seal between glass and frame. 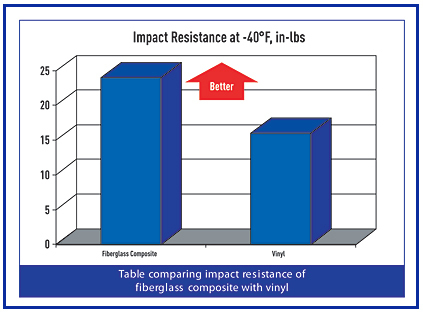 Impact resistance: Fiberglass composite ranks high, because it withstands impacts without deformation. Aluminum and vinyl are rated good and fair, respectively. Aluminum dents and vinyl shatters quickly at low temperatures. Impact resistance is important on the job site during installation, when dents and damage may inadvertently occur. Durability: In addition to the inherent structural qualities, certain factory-applied finishes render fiberglass composite virtually indestructible, for an excellent rating. Aluminum rates a little lower at very well, because of the potential for thermal break failure, and it is prone to corrosion on seacoast environments. Vinyl rates good, because it cannot be repaired easily if damaged. Fiberglass composites rank high because of their excellent insulating properties, condensation resistance, and low U-values. (U-values are the inverse of R-values, with lower numbers indicating better insulating properties.) Aluminum rates fair, because it is a natural conductor, and a poor insulator. People seated near windows may be uncomfortable. Vinyl rates an excellent in this category. “Fenestration is a major source of energy loss and an ongoing maintenance concern. When window products respond to these needs, along with energy efficiency and durability, while still maintaining high aesthetic standards, architects have more viable options during the design process,” observes Maione. For areas prone to high winds and rain, design pressure is another consideration for architects and owners. “An important criterion for me in selecting windows is the design pressure of the window,” adds Brown, who chairs the AIA’s Disaster Assistance program. Fiberglass composite windows offer thermal performance that is superior to thermally-broken aluminum windows, plus design pressures up to 50 pounds per square foot (psf), the equivalent to 141 miles per hour (mph), glass not included. Strength of the glass must be calculated separately. Other design pressure technical criteria that must meet industry testing standards include structural performance, water infiltration rate, and air infiltration. “For a large-scale multi-family development in the Northeast, where wide temperature swings are the norm, important window selection criteria includes limiting heat load to conserve energy in the summer, maximizing day lighting, and minimizing glare,” says Jeremy Edmunds, Assoc. AIA, P.E., LEED-AP, sustainability advisor, Cherokee Northeast, New York, New York. Life cycle: Fiberglass composite is long lasting, and is a strong, durable fenestration material. Appearance: Various finishes are available to achieve different looks. Options include a powder-coat paint finish, with a textured substrate for a wood look, to conventional pultrusion, whether wet-painted or acrylic-capped, which tends to look more like plastic. Performance: Based on certification from stringent industry testing standards, fiberglass composite fenestration has a superior performance in any environment. When assessing the aesthetic appeal of windows, design professionals and building owners also consider the life cycle costs and benefits of material selection. As a durable, economical, high performance material with a long life cycle, fiberglass has several advantages, whether for restorations or replacement windows. Vinyl windows look plastic, while fiberglass exhibits a smooth, consistent, aesthetic finish. “The problem with many early fiberglass windows is that they didn’t match the sturdy appearance of solid wood windows, the industry standard for most applications. However, the latest generation of fiberglass composite windows addresses this important aesthetic issue. As a result, they have become a viable alternative, particularly when extreme weather environments are at play: they don’t rust and they are energy efficient,” says Anthony S. Barnes, AIA, principal, Barnes Vanze Architects, Inc., Washington D.C.
Country Inn & Suites, Knoxville, Tenn., uses single-hung, fixed fiberglass composite windows. Architect: Cope Associates, Inc.
Fiberglass composite fenestration products are suitable for all building types, including hotels, multi-family housing, university buildings and dormitories. 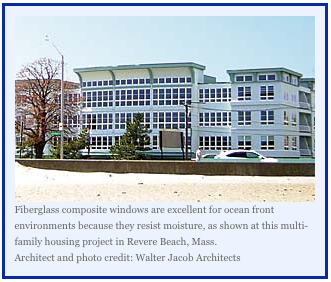 The following projects illustrate how fiberglass composite windows have been successfully installed in various applications. 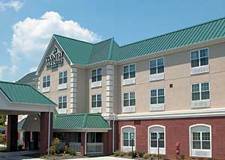 At the Country Inn & Suites, in Knoxville, Tennessee, single-hung, fixed fiberglass windows were selected, primarily for cost, but also due to long-range maintenance issues. According to Lanny Cope, AIA, president, Cope Associates, Inc., Knoxville, Tennessee, fiberglass composite was selected over aluminum windows because aluminum can scratch during installation, while fiberglass doesn’t. “Both perform relatively equal, but for us, the first cost for fiberglass windows was lower than for aluminum. The owner was so happy with the fiberglass composite windows, he wants to use them again on another hotel project. The builder liked them because of the ease of installation, and they didn’t have to be as careful regarding scratching. For the architect, it’s a win-win situation, and for the owner, the product does the job for less cost than an alternative selection,” Cope says. The waterfront project, which contains 48 residential lofts, most with full ocean views and coastal exposure, is located under the flight path of nearby Logan Airport. Along with planes flying overhead, noise from trains and the street warranted an acoustic consultant to suggest ways to reduce noise levels within the units. 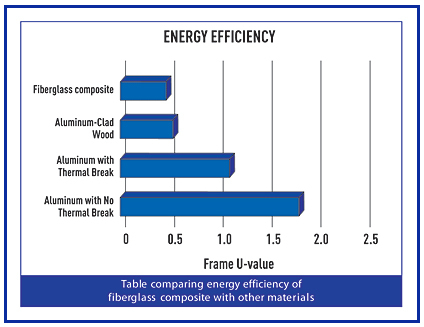 “Our analysis found a competitive advantage for fiberglass composite based on cost, and meeting local energy code requirements. To our surprise, the sound qualities contributed quite a bit. We were able to get a lot of design mileage on a budget,” Jacob adds. The project is slated for mid-2006 completion. At Dana College, a small private campus in Blair, Nebraska, the college president wanted a residential, not institutional, character for the new dormitories. Due to the nature of a typical student population, and previous window problems on campus, durability and abuse resistance were important design criteria, along with budget constraints and energy efficiency. “Fiberglass windows satisfied these needs, and provided flexibility in design, color selection, and custom muntin patterns. The suite-style student housing has sliding glass windows, and the college president’s design goals were met, within our budget,” said Steven Weber, AIA, project architect, RDG Planning and Design, Omaha, Nebraska. The project is scheduled for mid-2006 completion. Over the next five years, some construction industry analysts predict, raw materials such as aluminum are likely to rise in price, while the price of raw materials in fiberglass is expected to have a lower rate of increase. Single-hung windows provide design solutions for new construction and renovation projects. “Windows should provide years of service, withstanding the elements as intended, with minimal maintenance, ideally limited to cleaning and minor hardware adjustments. Beyond meeting energy codes, energy savings and life cycle costs warrant consideration. Architects and owners should review the savings to be realized with minimal maintenance, and the payback on energy savings over the life of the unit. One immediate justification to specify a sustainable product is reduced energy consumption related to the operation and use of the product. This translates to real savings by the owner, and fiberglass meets that goal,” says Rick Massey, AIA, associate, Professional Design Group, LLC, Atlanta, Georgia. Vinyl production is oil-based, while aluminum requires high energy levels during manufacturing. From a sustainability standpoint, fiberglass composite needs less embodied energy to produce than vinyl and aluminum, and uses less energy over the life cycle of the material. U-value of the total unit. Single-hung windows have a fixed top sash and a removable lower sash that allows the exterior glass to be cleaned from inside the building, thereby reducing maintenance costs for exterior cleaning crews, especially in multi-story buildings. Grilles between the glass panes provide the appearance of divided window lights, while minimizing maintenance needs. 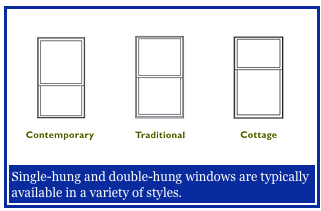 Double-hung windows, like single-hung windows, are typically available in different styles. However, unlike single-hung windows, both sashes can be opened to maximize ventilation. Sash can tilt inside to ease glass cleaning from inside the building. Fixed windows have a frame and non-operable sash. They offer views and natural daylight, but typically at a lower cost than operable windows. Since fixed windows are often paired with operable windows, some designs may have the option of pairing a sash and frame so that fixed and operable windows look alike, for a consistent appearance and aesthetic effect. 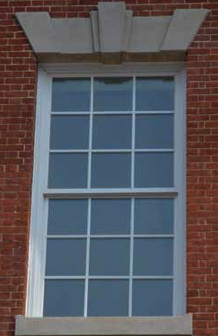 Fixed frames, unlike fixed windows, do not have a sash. They offer the design flexibility of fixed aluminum glazing systems, while providing significantly improved energy efficiency. Unlike aluminum systems that are glazed in the field, fixed frames are often glazed in a controlled factory environment, thus maximizing quality control, while reducing field installation time. Steel reinforcements may be used for longer spans and higher design pressures. A range of sightlines can be achieved, depending on how the glass is subdivided to meet the design intent. As with other styles of windows, grilles-between-the-glass, also known as integral muntins, may be placed between the glass panes to provide the look of divided lights. Another way to subdivide the glass is through the use of applied muntins. Since they can match the frame in size and color, they can be used to provide the look of multiple windows or aluminum storefront. They are typically applied to both sides of the glass for a similar appearance on the inside and outside. The width of the applied muntin can be the same as the frame, to provide a clean, commercial look. The color typically matches the frame on both sides. 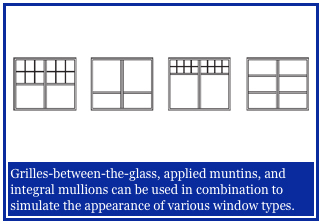 Grilles-between-the-glass, applied muntins, and integral mullions can be used in combination to simulate the appearance of various window types, such as transoms, double-hung, and awning style windows. In addition, the same design elements can be used to create the look of storefronts and ribbon windows. Sliding windows are generally available in two or three panel configurations, and various sizes. When combined with fixed windows, sliding windows can provide a range of design, ventilation and egress solutions, while meeting project budgets. Corrosion-resistant nylon rollers on each sash will ensure easy operation in all environmental conditions. In contrast, windows with brass rollers may corrode and rust over time. Sliding doors are suitable for commercial and residential applications, such as multi-family, hospitality, and assisted living projects, to save space and create easy outdoor access. Durable locks will ensure security is not compromised. When the sliding panel is located on the exterior, higher winds will tighten the seal against air and water infiltration. Screens located on the interior are less prone to damage, easier to operate than those on the exterior, and will be protected from the elements. Hardware finishes and available options provide additional design opportunities to meet budget needs. Window composite configurations can often be factory-assembled, which generally accelerates installation at the job site. Sliding windows provide a range of design, ventilation, and egress solutions. No thermal break is required, which eliminates the durability issues associated with dry shrinkage of poured urethane thermal breaks common to aluminum windows. Fiberglass is made by a process called pultrusion, in which thousands of glass fibers are pulled through a die. In contrast, aluminum and vinyl are extruded, which means pushing a material through a die to shape it. Fiberglass composite consists of glass fibers and the resin that bind it together. Glass fiber has a high tensile strength, and will not break, similar to a reinforcing bar in a concrete mix. The resin acts like concrete, because it performs well in compression. Together, the glass fibers and resin are good in both compression and tension, creating a strong material. Continuous strands of glass fiber roving and glass fiber mats are impregnated with thermo-set polyester resin, and then drawn through a steel die, which sets the shape. Part of the die is heated to initiate the resin’s cure process. The end product is a thermoset fiberglass composite. The hardened portion is then pulled from the die and cut to length. Very high strengths can be achieved with fiberglass, due to high glass concentration and orientation of glass roving’s and mats parallel and perpendicular to the length of the material drawn through the die. Once the material has been pulled through the die and cured, a UV resistant coating must be applied. The thermoset polyester resin used in fenestration fiberglass composites will degrade if exposed to the sun for extended periods. The specific coating used varies by manufacturer, but the three most common coatings used are paint, whether water or solvent based, acrylic cap-stock, and powder coating. All three provide the UV protection required, but there can be performance differences in terms of long term chalking and fading as well as scratch resistance. When evaluating alternatives to wood and aluminum, a key factor to consider is the type of resin used to make the alternative material. In general, all resins can be put in one of two categories: thermoplastic or thermoset. In simple terms, thermoplastic materials can be re-melted and thermosets cannot. Most commonly used plastics are made from thermoplastic resin. These materials soften as they heat up and if heated high enough will melt. This is how plastics are recycled. Thermoset materials, in contrast, undergo an irreversible chemical reaction. Often initiated by heat, once this chemical reaction has occurred, thermosets do not soften or melt as they are reheated. 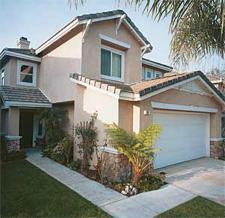 Fiberglass composite windows and doors are made using thermoset resin. Vinyl windows, however, are made from PVC, which is a thermoplastic resin. As a result, fiberglass composite windows can be used in hot climates and can be painted dark colors, even in high sun exposure applications. If vinyl windows are used in these applications, it is possible for the vinyl to soften, causing the material to sag or warp. The term, “vinyl smiles” is sometimes used in the industry to describe this phenomenon. This is most often seen when the head of a large span sags after becoming too hot. There are two primary methods of installing fiberglass composite windows in new construction and renovation projects: nailing fins and block frames with masonry clips or jamb screws. Continuous perimeter nailing fins are used when construction methods permit window and door units to be installed from the exterior prior to the application of exterior cladding, such as lap siding, brick veneer and stucco. The integral nailing fin design features a continuous fin, allowing the window frame to be integrated into the building’s weather-resistant barrier. The flush flange frame is designed specifically for replacement applications on stucco exteriors in arid climates, like those found in the southwestern United States. The flush flange allows for quick installation without removing the existing frame or damaging the stucco exterior. Masonry clips or jamb screws are used when construction materials or sequence dictate that the window units be installed from the interior or after the wall system is completely constructed. The block frame provides a variety of attachment and installation options. Windows can be installed in wood and steel frame openings using optional fins, or in masonry openings using installation clips or jamb screws. Block frames may also be used in window replacement projects without removing the existing frame or damaging the exterior. Block frame with standard fin: Similar to the integral fin, the standard fin can be used with the block frame to provide a continuous attachment method that allows the window frame to be integrated into the building’s weather-resistant barrier. Block frame with offset fin: The continuous offset nailing fin is designed for use in new construction with stucco exteriors in arid climates, like those found in the desert southwest of the United States. Block frame with installation clip: For new construction or window replacement where wall conditions or construction sequence require installation from inside the building. Block frame with screw attachment: For new construction or window replacement where normal fin or tape installation cannot be accomplished because of wall conditions or construction sequence. Fiberglass composite provides several important attributes that make it ideally suited for windows and doors in any location, climate condition or building type. When compared to other materials, it is more durable than vinyl or aluminum, exhibits the thermal efficiency of wood, and is an economic alternative to vinyl. Additionally, fiberglass composite is energy efficient, and reduces sound transmission from the outdoors to indoor spaces. It is a sustainable material that consumes low embodied energy to produce compared to aluminum and vinyl. As evidenced by the widespread use of fiberglass boats, fiberglass composite resists the corrosive effects of salt water, hot and cold temperature extremes, growth of mold and fungus, and can withstand long-term exposure to water, humidity, and moisture. Due to the nature of its composition, fiberglass is strong and durable, and readily resists scratches, dings and dents that frequently occur on the job site, or in applications subject to daily abuse. Lastly, fiberglass composite is an economically competitive alternative to other fenestration materials. Barbara A. Nadel, FAIA, principal of Barbara Nadel Architect, in New York City, frequently writes about design and technology. She is the author and editor-in-chief of Building Security: Handbook for Architectural Planning and Design (McGraw-Hill, 2004).